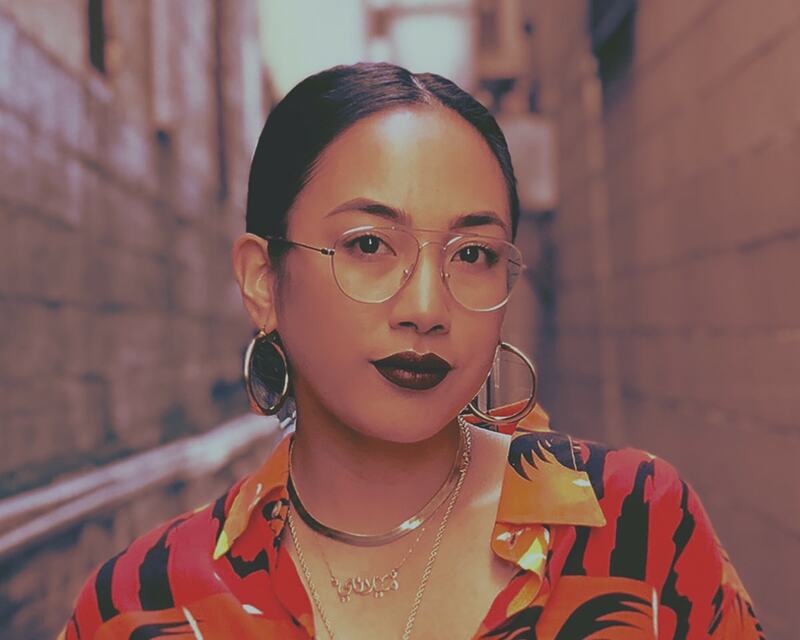 Lanie Alabanza-Barcena AKA Misslawn (born September 26, 1979) is an Asian American graphic/fashion designer and Co-Founder + Creative Director of the female street contemporary brand, HLZBLZ. At age 22, she moved from California to New York city to start her career in fashion design. In 2004, after a year at the world renewed street clothing line, Triple 5 Soul, she left to take on the position of graphic designer turned Art Director for Hip Hop legend Jay-Z’s label, Rocawear and designing collections within the label for the likes of Patricia Field & Rihanna. Since the label’s inception, Misslawn has collaborated with the likes of Stussy, Vans, G-Shock, Reebok, Sanrio, Mosley Tribes and Warner Bros. to name a few. In addition to HLZBLZ, Misslawn has expanded her brand catalog along w/ husband/business partner, Bam to include also launched Belle of the Brawl, a women’s contemporary brand, Stoned Age a unisex “high” fashion label (get it? high fashion, lol) geared toward the post-youth stoner culture and our collaborative brand. YouthYouth, a project with talented up and coming artist mentored by Misslawn & Bam. JUNYAmafia, a premium quality yet fun & playful childrens brand catered to the street contempory market, and Whatever Forever, a passion project turned unisex brand. In addition, Misslawn has a Design & Consultation Agency, LABism that allows Misslawn & Bam to create multi-brands for various retailers, as well as offer design expertise and services to various companies, ranging from music to fashion.